A lot of people talk about how great it is to start a business, but only Ben Horowitz is brutally honest about how hard it is to run one.­In The Hard Thing About Hard Things, Ben Horowitz, cofounder of Andreessen Horowitz and one of Silicon Valley's most respected and experienced entrepreneurs, draws on his own story of founding, running, selling, buying, managing, and investing in technology companies to offer essential advice and practical wisdom for navigating the toughest problems business schools don't cover. 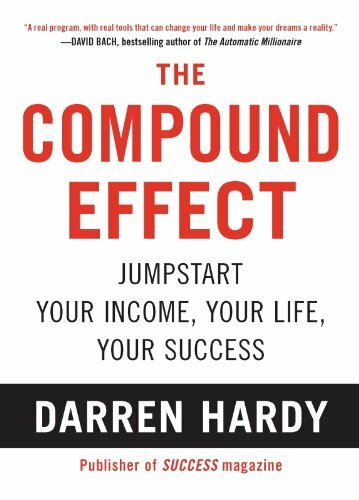 His blog has garnered a devoted following of millions of readers who have come to rely on him to help them run their businesses. A lifelong rap fan, Horowitz amplifies business lessons with lyrics from his favorite songs and tells it straight about everything from firing friends to poaching competitors, from cultivating and sustaining a CEO mentality to knowing the right time to cash in.­His advice is grounded in anecdotes from his own hard-­earned rise—from cofounding the . . . The solution is "Skill With People!­" Les Giblin's timeless classic has what you need to get on the fast track to success at home, at work, and in business. Communicate with impact. Influence with certainty. Listen with sensitivity. 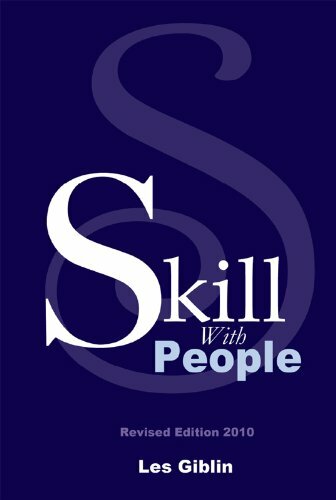 "Skill With People" shows you how! Les Giblin has conducted more than 1,­000 "Skill With People" seminars for hundreds of companies and associations, including Mobil, General Electric, Johnson & Johnson, Caterpillar, Blyth Eastman Dillon, Retail Jewelers of America, PGA, National Association of Insurance Agents, plus hundreds of sales and marketing clubs and hundreds of top stores. Les Giblin was 1965 National Salesman of the Year. His book "Skill With People" has sold over 2,­000,­000 copies, while his other book, "How to Have Confidence and Power in Dealing With People,­" has sold over 700,­000 copies. He has authored three bestselling handbooks. Les Giblin's audiovisual programs are widely used. One association enrolled 5,­000 people in his "Skill With . . .
"When You Wish Upon a Star,­" "Whistle While You Work,­" "The Happiest Place on Earth" -- these are lyrics indelibly linked to Disney, one of the most admired and best-­known companies in the world. So when Roy Disney, chairman of Walt Disney Animation and nephew of founder Walt Disney, abruptly resigned in November 2003 and declared war on chairman and chief executive Michael Eisner, he sent shock waves through the entertainment industry, corporate boardrooms, theme parks, and living rooms around the world -- everywhere Disney does business and its products are cherished. is the breathtaking, dramatic inside story of what drove America's best-­known entertainment company to civil war, told by one of our most acclaimed writers and reporters. Drawing on unprecedented access to both Eisner and Roy Disney, current and former Disney executives and board members, as well as thousands of pages of never-­before-­seen letters, memos, transcripts, and other documents, James B. Stewart gets to . . .
Sound crazy? It's all standard operating procedure at Zappos, the online retailer that's doing over $1 billion in gross merchandise sales annually. After debuting as the highest-­ranking newcomer in magazine's annual "Best Companies to Work For" list in 2009, Zappos was acquired by Amazon in a deal valued at over $1.­2 billion on the day of closing. 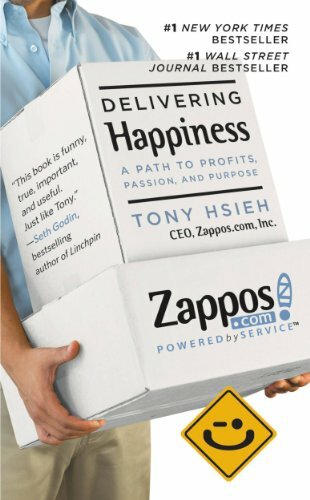 In DELIVERING HAPPINESS, Zappos CEO Tony Hsieh shares the different lessons he has learned in business and life, from starting a worm farm to running a pizza business, through LinkExchange, Zappos, and more. Fast-­paced and down-­to-­earth, DELIVERING HAPPINESS shows how a very different kind of corporate culture is a powerful model for achieving success-­and how by concentrating on the happiness of those around you, you can dramatically increase your own.  To learn more about the book, go to www.­deliveringhappinessbook.­com.